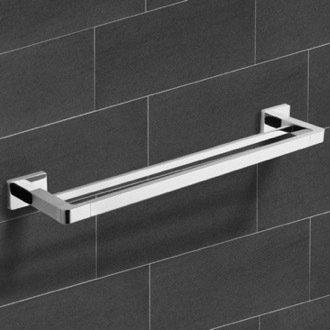 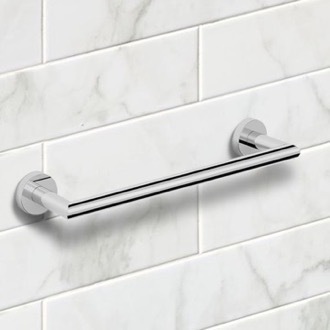 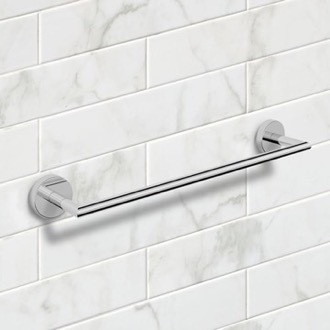 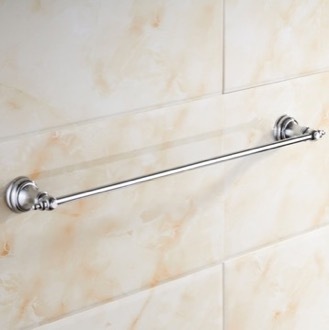 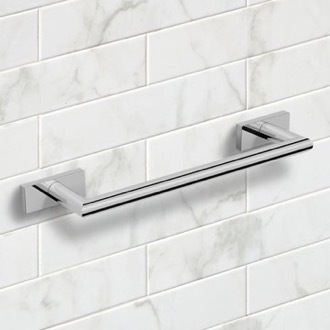 Shop our selection of towel bars and get FREE shipping on all orders over $99! 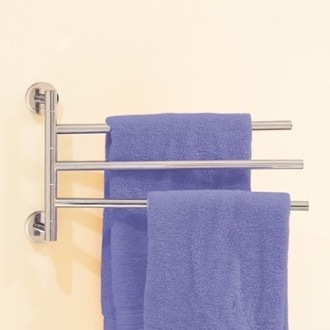 Towel bars are an easy way to keep your bathroom looking tidy, while helping your towels dry more quickly. 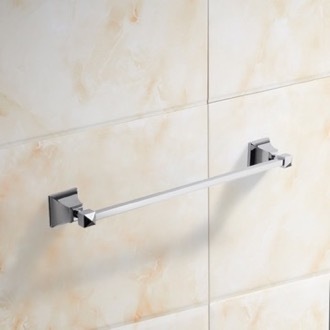 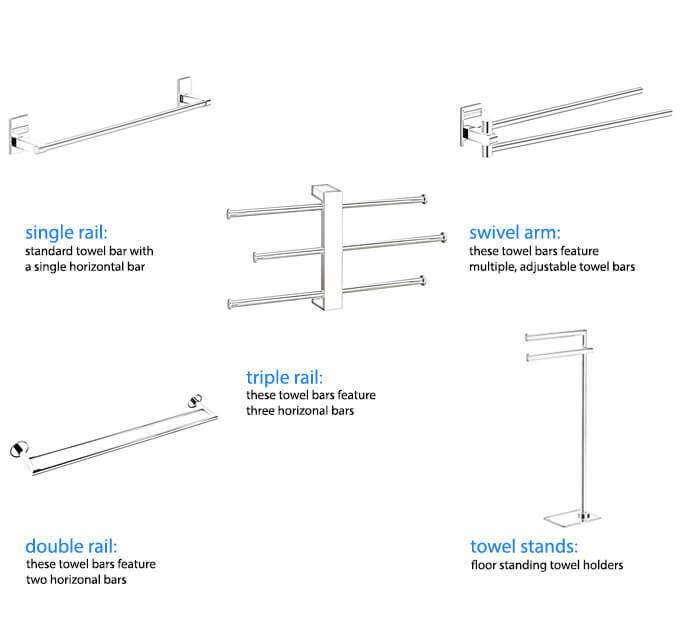 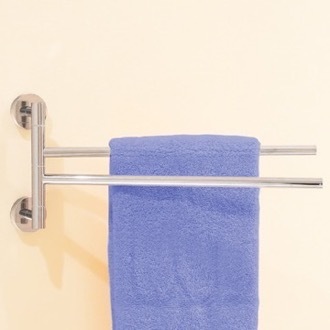 Different towel bars can accommodate more towels, whether you're looking for a single or double towel bar. 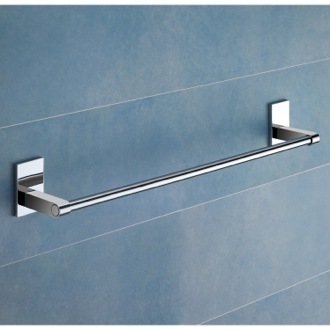 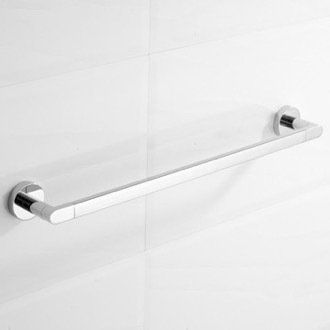 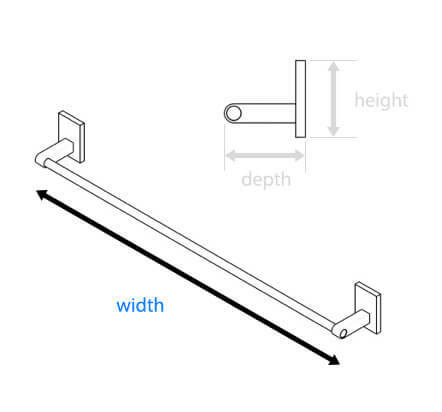 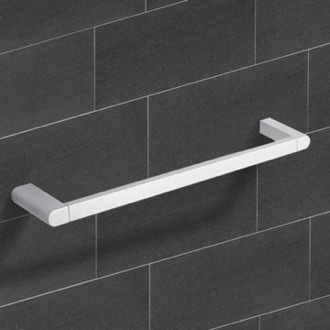 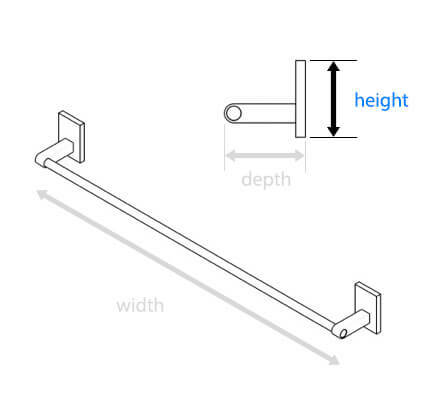 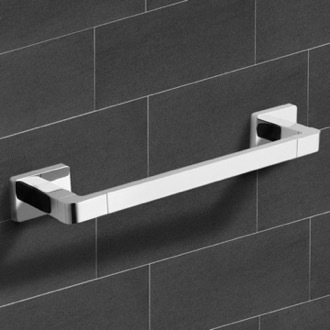 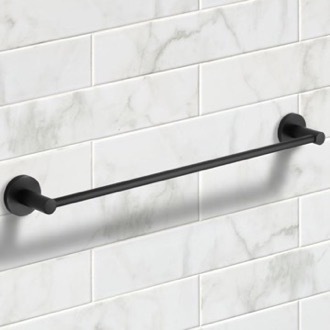 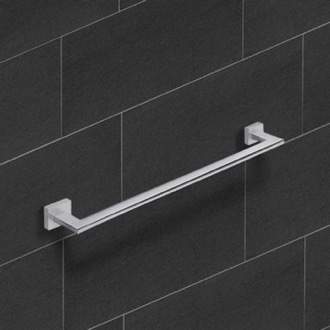 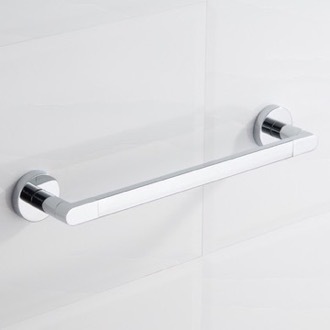 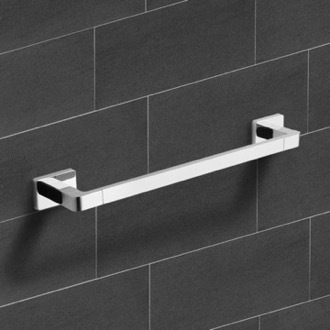 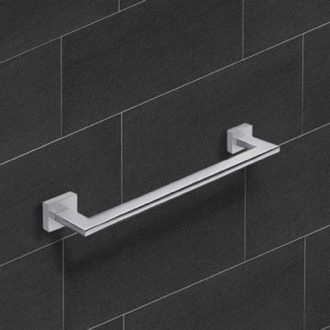 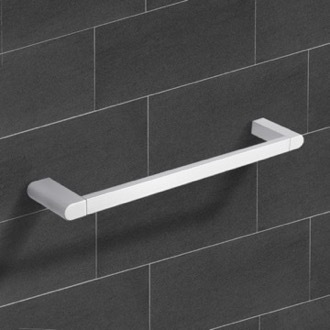 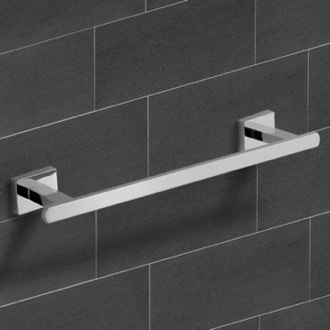 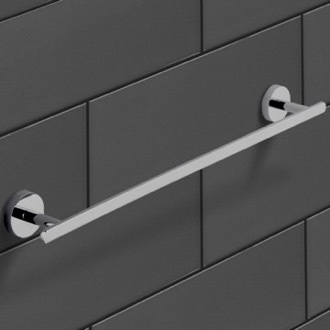 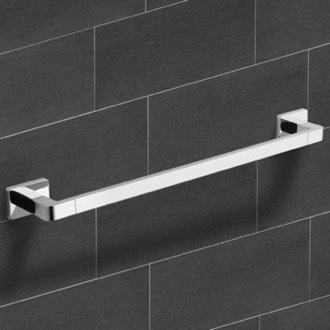 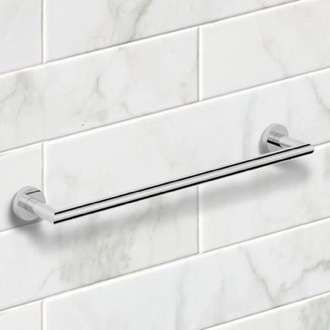 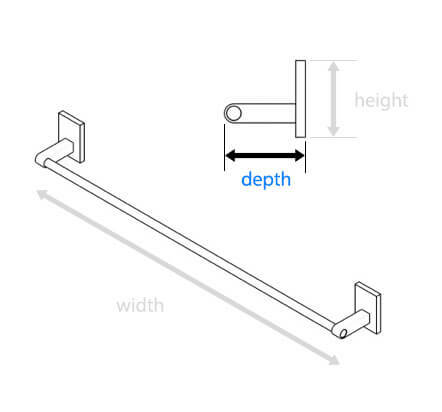 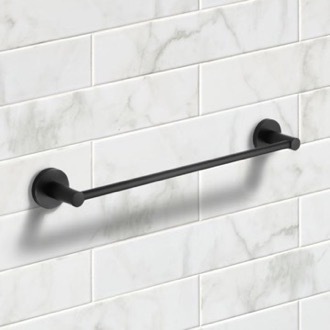 While most towel bars are wall-mounted, keep an eye out for unique freestanding designs. 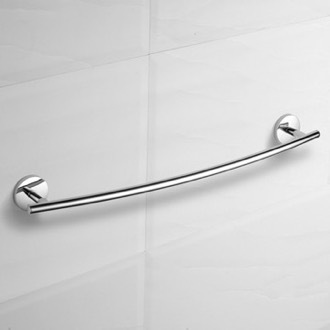 You can buy your bathroom towel bar in a range of finishes to match other bathroom accessories, such as chrome, brushed nickel, or gold. 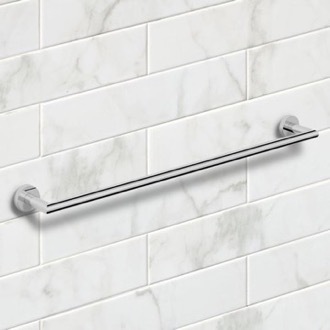 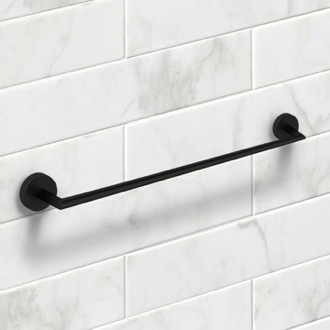 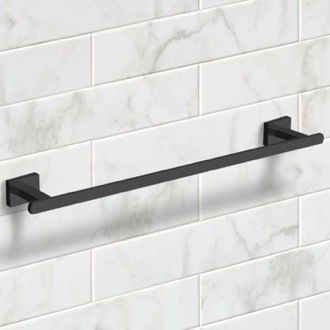 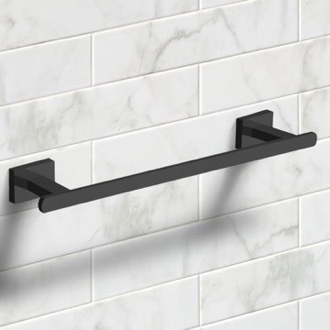 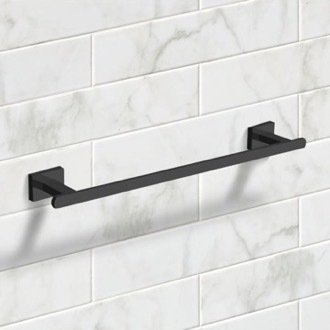 More shopping tips What are some unique wall mount towel bars for my bathroom? 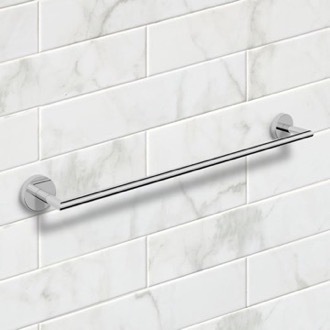 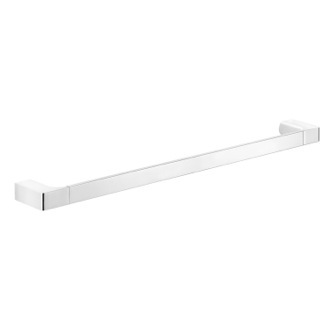 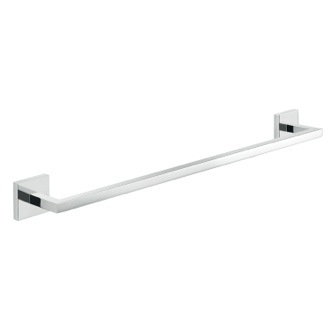 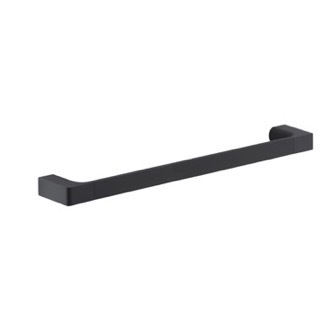 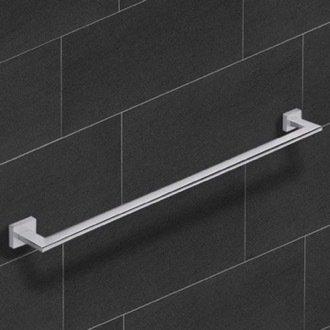 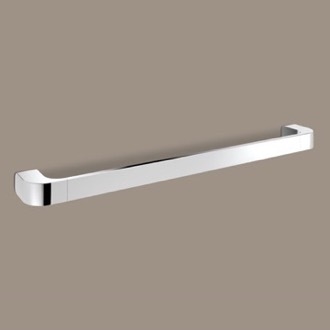 Wall mounted towel bars are available in many different sizes and colors, perfect to hang hand towels in your powder room or large towels in your master bathroom. 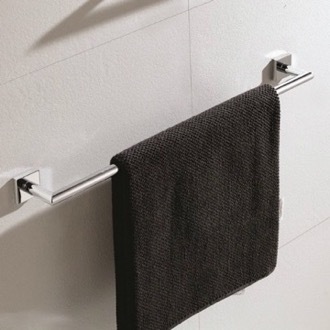 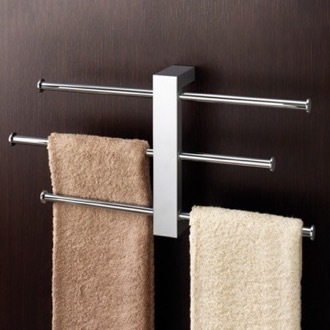 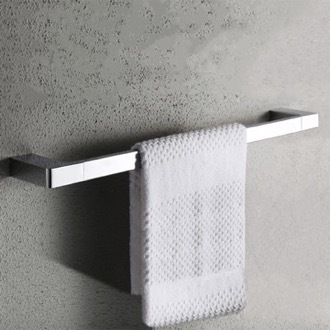 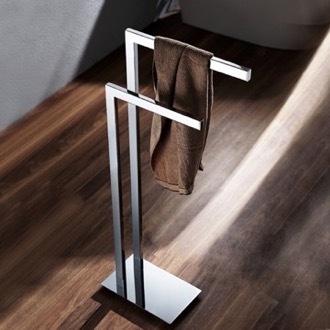 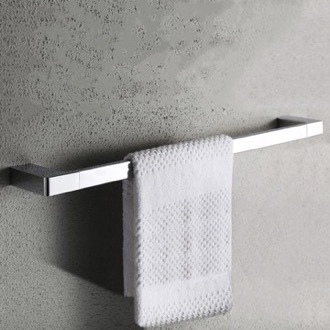 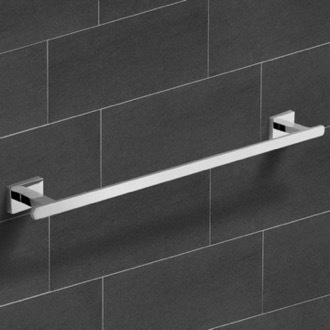 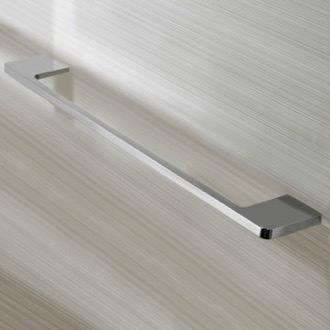 If your wall space is constrained, a free standing towel bar may make more sense. 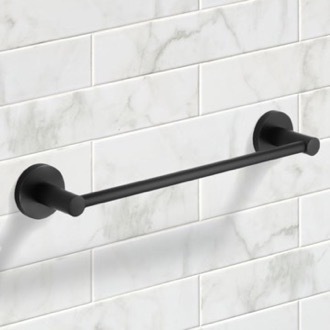 What is the best finish for my towel bar: oil rubbed bronze, satin nickel, or stainless steel? 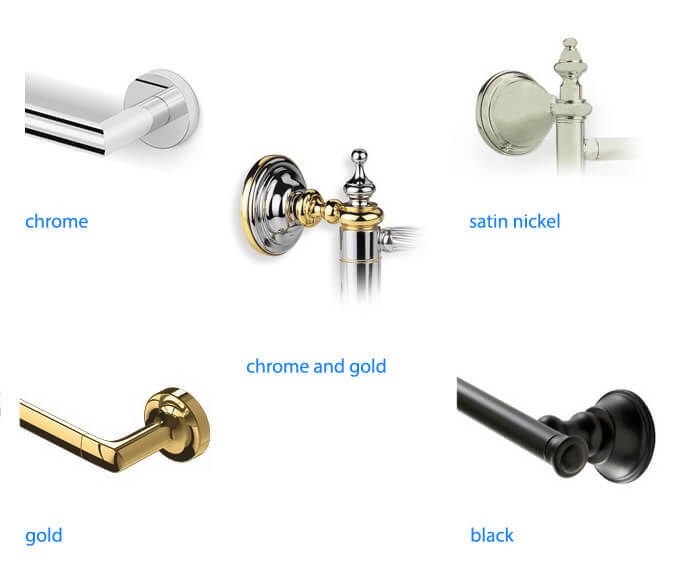 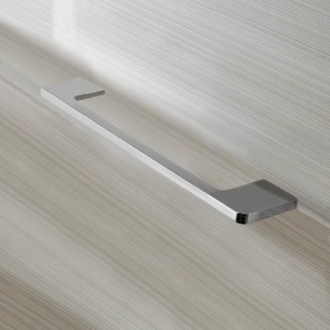 It depends on the rest of your bathroom hardware, but satin and brushed nickel is always a popular option and easy to match. 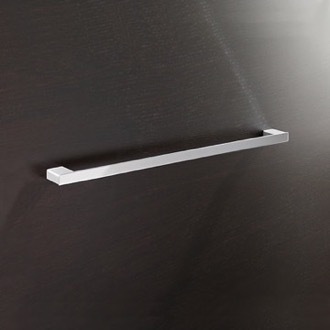 Oil rubbed bronze evokes dark brown and copper, and will give your bathroom a more antique look. 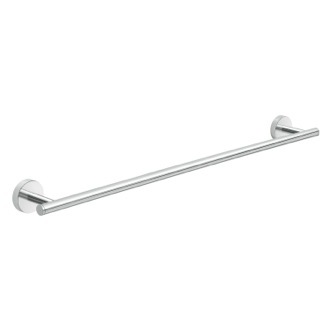 Towel bars made of stainless steel are more resistant to corrosion and rusting, so if quality is on your mind, stainless steel is the way to go.